One of the most fun things about getting a Wii was the ability to create a personalized Mii. 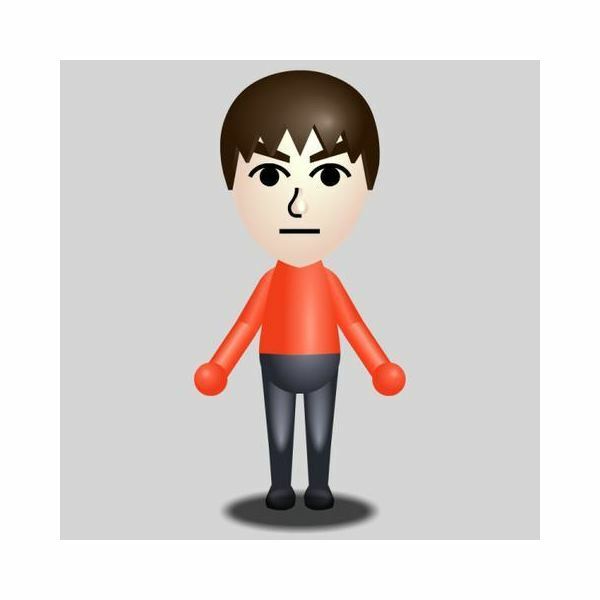 Mine had glasses and dark hair, Danielle’s had big girly lashes and a cute, pink outfit, Richard’s sported jeans and a t-shirt, and Olivia’s — well, Olivia’s Mii was a guy. Hmmm. When the “girls” were little one of the high end department stores had a Newborn Nursery Boutique where one could adopt a doll baby and buy newborn-sized doll outfits. It was the sweetest place. You viewed the “babies” through the nursery window and selected the one you wanted to adopt. Then, the nurse brought your baby to the changing table, diapered, powdered and dressed her and handed the precious life-like doll over to the new mommy. Somewhere, we have pictures of Danielle rocking her baby before we left the nursery. Of course, adoption papers were part of the package. This baby was a girl and was aptly named and dressed. It wasn’t long before Olivia wanted one too. So, off we went to the Newborn Nursery Boutique to adopt another baby. Olivia chose a newborn that looked more like a boy baby and gave him a boy name. Of course, all the outfits were more boy-ish in style. Hmmm. Simms has been a popular video game in our house for years. Both kids loved to create fictional families, build neighborhoods and villages and experience an imaginary world without much risk. I am sure by now you’ve guessed that Olivia’s main character was a pretty buff looking dude. Hmmm. I am a creature of habit. When we go to the mall, I always park in the same lot and enter through the same store. It’s my comfort zone. I know where I am going and how to get around. (This is my mother’s influence.) So, time after time, we walked through the children’s department in Lord & Taylor as we made our way to the mall’s center court. I love this department. They had and still do have the best little girls’ clothes. Their buyer does a fantastic job. From dresses to leggings to itty-bitty newborn frilly diaper covers, it is a happy place for me. Every time we walked into the store, Olivia would stop and longing look at the little outfits…the little boy vests and suits and play clothes. She would say to me, “I love the tiny vests. Look how cute they are.” Hmmm. My kids played with Barbie dolls. They had blond ones, dark-skinned ones, long haired ones, beach Barbie, professional Barbie, “mommy” Barbie and Ken Barbie, among others. Guess who wanted the Ken doll. Hmmm. Looking back, I clearly see that Hunter began living vicariously through his Avatars and world of make-believe from a very early age. Hmmm.